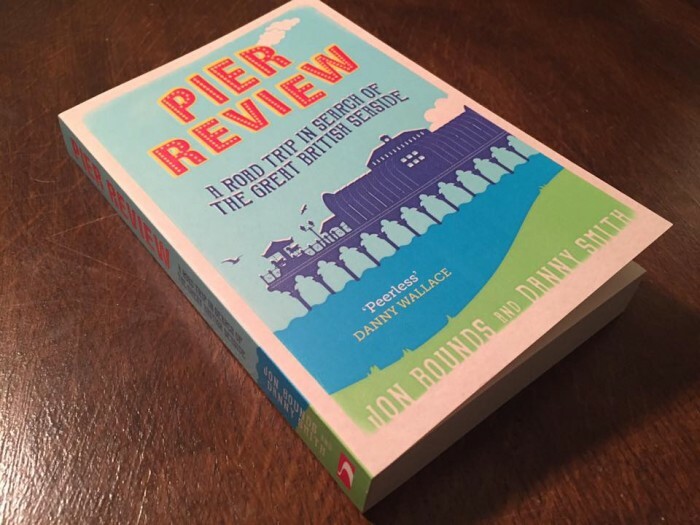 It’s not out until 11 February, but Danny and I received advanced copies of Pier Review — the book which we had the idea for back in 2010 — just this week. Most of that time was spent not doing anything, then going through the publishing process — it took us about a year and a half to actually write. We’re planning a big reveal about the whole thing around launch time. The cover is by Dan Mogford, who has done a huge amount of really quite lovely covers for the likes of Bill Bryson and Owen Jones, and we think it looks great. The publishers, Summersdale, seem to be fairly confident that it’s decent as they went to town on some really detailed embossing — it’s very real to the touch.